All return are subject to approval by SK Wholesale.net and must be accompanied by our R/A (Return Authorization) label. You may only return new, unopened items sold and fulfilled by SK Wholesale.net within 7 days of delivery. If the merchandise is defective or if SK Wholesale.net shipped an item in error, then we will pay the return shipping costs. You may contact us for more information on our exchange policy and for further details and policy exceptions on returns and exchanges. Some items may have special return policies. You should contact us for more information concerning any specific policy before buying. If a refund is to be made, you should expect to receive your refund within one (1) week of said package being received by SK Wholesale.net. Items that are opened or returned more than 7 days after delivery will not be considered for claims or refunds. Whether you're a new customer placing your first order with our Shopping Cart or a returning customer, we want to make sure that your ordering experience is as easy as possible. Once you have placed your order at SK Wholesale.net. We will immediately contact you for payment information and your transaction will then go to processing. SK Wholesale.net. accepts most payments including Credit Cards, checks, money orders and bank transfers. We Do NOT process credit cards by electronic authorization on the Internet at this moment. We do request that you submit a credit card authorization form which will be faxed to you. All Checks should be denominated in U.S. dollars and drawn on a U.S. bank and must be approved by TeleCheque. All Invoices will be sent to you with your merchandise. You will also receive an electronic format copy of your order by e-mail. If you have other instructions about who must get a copy of your invoice, you must inform SK Wholesale.net before delivery. You can also view orders from the Quick Shopping Cart invoice list that displays in the main menu under My Account page. To View Orders and Invoices: 1. Log in to your account at SK Wholesale.net 2. In the My Account section, click My Orders. 3. On the My Orders page, click View Order for order current status. Customers who create an account at SK Wholesale.net can manage invoices, orders and payments. You can check the status of an order, change your account or order information, subscribe to or unsubscribe from E- mail newsletter. Just login and click on the My Account menu for more option. In addition, you may choose to send private messages to other SK Wholesale.net Members or to post certain information to your public "profile" on SK Wholesale.net such as your date of birth, general location, addresses, and comments. * "Cookies" Information: When you visit SK Wholesale.net, we may send one or more cookies -- small text files containing a string of alphanumeric characters -- to your computer. SK Wholesale.net uses both session cookies and persistent cookies. A session cookie disappears after you close your browser. A persistent cookie remains after you close your browser and may be used by your browser on subsequent visits to SK Wholesale.net. Persistent cookies can be removed. Please review your web browser "Help" file to learn the proper way to modify your cookie settings. * "Automatically Collected" Information: When you participate in SK Wholesale.net and, for example, if you play games, participate in forums or the Art Arena, spend your Gold, call persons with SK Wholesale. net’s internet calling feature, or open one of our HTML emails, we may automatically record certain information from your web browser by using different types of technology, including "clear gifs" or "web beacons." This "automatically collected" information may include unique "device IDs" (similar to IP addresses), Internet Protocol address ("IP Address"), web browser type, the web pages or sites that you visit just before or just after SK Wholesale.net, the pages you view on our site, and the dates and times that you visit SK Wholesale.net. 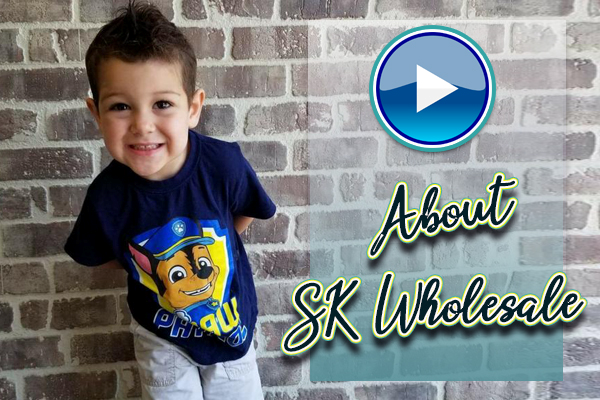 The Way SK Wholesale.net Uses Information: * When you choose to create a public profile on SK Wholesale.net, you will post, at your option, certain personal information that will be publicly displayed to other Members on SK Wholesale.net. * SK Wholesale.net uses the information that we collect to operate, maintain, enhance, and provide to you all of the features and services found on SK Wholesale.net. We will use your email address, without further consent, for administrative purposes such as sending you account activation and "welcome" emails, notifying you of major SK Wholesale.net updates, for customer service purposes, to address copyright infringement issues, or to contact you regarding any SK Wholesale.net activities in which you are presently participating. * SK Wholesale.net uses your email address to send to you activity emails, newsletters, and, from time to time, notices about special activities, features, or items available on SK Wholesale.net and, in some cases, sponsored by third-parties. You may opt-out of receiving such notices by indicating your preferences in the My Account section of SK Wholesale.net. * SK Wholesale.net uses all of the information that we collect to understand the usage trends and preferences of our Members, to improve the way SK Wholesale.net works and looks, and to create new features and functionality. * SK Wholesale.net uses "automatically collected" information and "cookies" information to: (a) remember your information so that you will not have to re-enter it during your visit or the next time you visit SK Wholesale.net; (b) provide customized third-party advertisements, content, and information; (c) monitor the effectiveness of third-party marketing campaigns; (d) monitor aggregate site usage metrics such as total number of visitors and pages viewed; and (e) track your entries, submissions, and status in any games, sweepstakes, and contests. When SK Wholesale.net Discloses Information: * SK Wholesale.net does not share your personally identifiable information with other organizations for their marketing or promotional uses without your express consent. * SK Wholesale.net may disclose Automatically Collected and other aggregate non-personally-identifiable information with interested third parties to assist such parties in understanding the usage and demographic patterns for certain programs, content, services, advertisements, promotions, and/or other functionality on SK Wholesale.net. * SK Wholesale.net may disclose some types of Member Information to certain affiliated companies or other businesses or persons who provide web site hosting, maintenance and security services, fulfill orders, offer certain functionality, help improve our site and create new site features. We require that these parties process such information in compliance with this Privacy Notice, we authorize only a limited use of such information, and we require these parties to use appropriate confidentiality measures. * SK Wholesale.net may disclose Member Information if required to do so by law or in the good-faith belief that such action is necessary to comply with state and federal laws (such as U.S. Copyright law) or respond to a court order, judicial or other government subpoena, or warrant. We may make such disclosures, in some cases, without providing Members notice. * SK Wholesale.net also reserves the right to disclose Member Information that we believe, in good faith, is appropriate or necessary to take precautions against liability; protect SK Wholesale.net from fraudulent, abusive, or unlawful uses; to investigate and defend ourselves against any third-party claims or allegations; to assist government enforcement agencies; to protect the security or integrity of SK Wholesale.net; and to protect the rights, property, or personal safety of our Members or other persons. Your Choices: You may, of course, decline to share your personally-identifiable information with SK Wholesale.net, in which case you will not be able to participate in many SK Wholesale.net activities. You may update, correct, or delete your Member account information and email subscription preferences at any time by going to the Edit Profile section of SK Wholesale.net; provided, however, that upon deletion of your account or profile, please note that some of your personal information, including billing and contact information, may remain in SK Wholesale. net’s systems for some limited period of time. To protect your privacy and security, we take reasonable steps to verify your identity before granting you account access or making corrections. HOWEVER, you are responsible for maintaining the secrecy of your unique password and account information at all times. Third-party Advertisers, Links to Other Sites: SK Wholesale.net allows other companies, called third-party ad servers or ad networks, to serve advertisements within SK Wholesale.net. However, please note that if an advertiser asks SK Wholesale.net to show an advertisement to a certain audience (for example, males age 15 to 18) or audience segment (for example, males age 15 to 18 who have participated in certain community activities or games) and you respond to that advertisement, the advertiser or ad-server may conclude that you fit the description of the audience that they were trying to reach. You should consult the respective privacy policies of these third-party ad servers or ad networks. SK Wholesale. net’s Privacy Notice does not apply to, and we cannot control the activities of, such other advertisers or web sites. SK Wholesale.net reserves the right the add or remove third-party ad networks or ad servers in its discretion and SK Wholesale.net may not at all times list such updated ad network or ad server partners in this Privacy Notice. Our Commitment to Data Security: SK Wholesale.net uses commercially reasonable physical, managerial, and technical safeguards to preserve the integrity and security of Member Information. We cannot, however, ensure or warrant the security of Member Information collected by SK Wholesale.net, and you transmit such information at your own risk. Once we receive your Member Information, SK Wholesale.net makes commercially reasonable efforts to ensure the security of our systems. However, please note that this is not a guarantee that such information may not be accessed, disclosed, altered, or destroyed by breach of any of our physical, technical, or managerial safeguards. If SK Wholesale.net learns of a security systems breach, then we may attempt to notify you electronically so that you can take appropriate protective steps. SK Wholesale.net may post a notice on SK Wholesale.net if a security breach occurs. Depending on where you live, you may have a legal right to receive notice of a security breach in writing. To receive a free written notice of a security breach you should notify us at privacy@swholesale.net Our Commitment to Children's Privacy: Protecting the privacy of young children is especially important. For that reason, SK Wholesale.net does not knowingly collect or maintain personally identifiable information on SK Wholesale.net from persons under 13 years-of-age, and no part of SK Wholesale.net is directed to persons under 13. If you are under 13 years of age, then please do not use or access SK Wholesale.net at any time or in any manner. If SK Wholesale.net learns that personally-identifiable information of persons less than 13-years-of-age has been collected on SK Wholesale.net without verifiable parental consent, then SK Wholesale.net will take the appropriate steps to delete this information. If you are a parent or guardian and discover that your child under the age of 13 has obtained a SK Wholesale.net account, then you may alert SK Wholesale.net at privacy@skwholesale.net and request that SK Wholesale.net delte that child’s personal information from its systems. Parents, the following are some resources that may help you in monitoring and limiting your childrens' access to certain types of material on the Internet. While SK Wholesale.net does not endorse these products, we provide information about them as a public service to our Members. SK Wholesale.net is hosted in the United States and is intended for United States visitors. If you are visiting from the European Union or other regions with laws governing data collection and use that may differ from U.S. law, please note that you are transferring your personal data to the United States and by providing your personal data you consent to that transfer. In the Event of Merger or Sale: In the event that SK Wholesale.net is acquired by or merged with a third-party entity, we reserve the right, in any of these circumstances, to transfer or assign the information we have collected from Members as part of such merger, acquisition, sale, or other change of control. Changes and Updates to this Privacy Notice: This Privacy Notice may be revised periodically without further notice to you and this will be reflected by the "last modified" notice below. Please revisit this page to stay aware of any changes. In general, we only use your personal information in the manner described in the Privacy Notice in effect when we received that personal information. Your continued use of SK Wholesale.net constitutes your agreement to this Privacy Notice and any future revisions. For revisions to this Privacy Notice that may be materially less restrictive on our use or disclosure of personal information you have provided to us, we will make reasonable efforts to notify you and obtain your consent before implementing such revisions with respect to such information. SK Wholesale.net Contact Information: Please contact SK Wholesale.net with any questions or comments about this Privacy Notice, your personal information, our third-party disclosure practices, or your consent choices at privacy@skwholesale.net. We will respond to your inquiry within 30 days of its receipt.